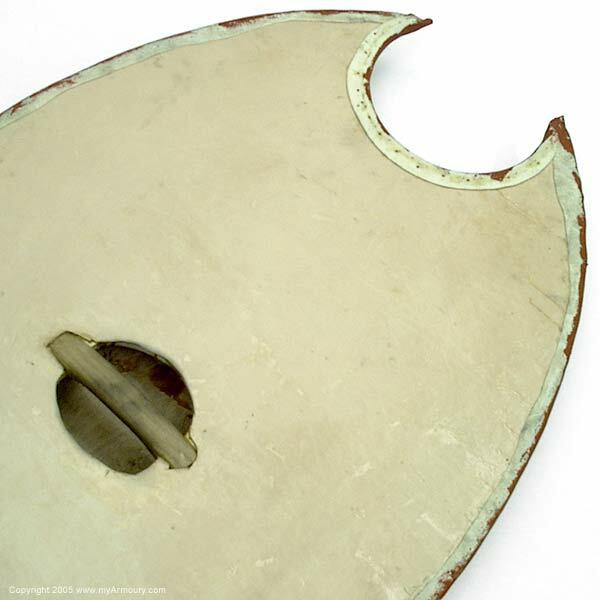 This shield replicates a rather distinctive British Iron Age shield style, known to us through miniature votive shields and remnants of bronze-edge bindings found in Iron Age burials. 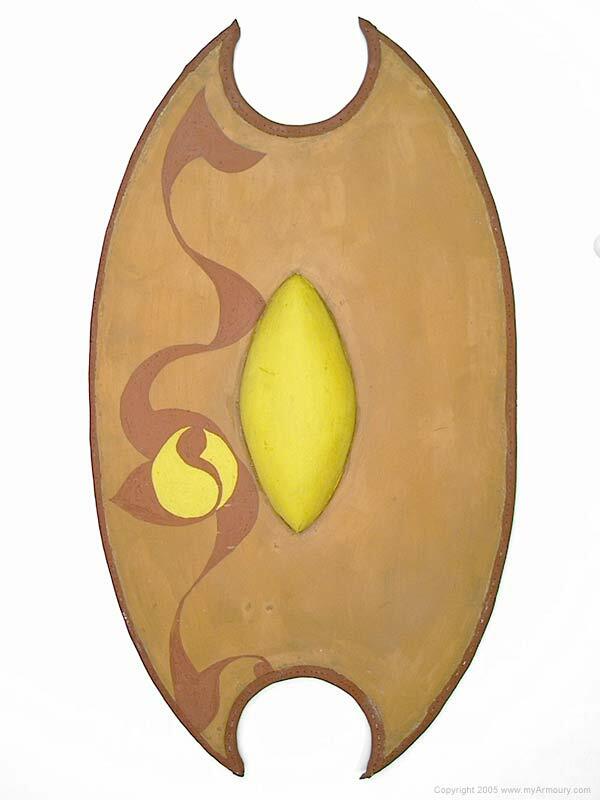 For some time, this shield shape was not known, and no traces of shield would remain in the grave (indicating all-organic shields as recreated here). However, a complete set of bindings was found in a burial at Mill Hill, Deal, and a horde of miniature shieds were found at Salisbury, allowing archaeologists to recreate the shape, size and character of these unique defensive items. The replica is made of laminated birch, chamfered from center to edge. The binding is rawhide stitched on with linen cord. 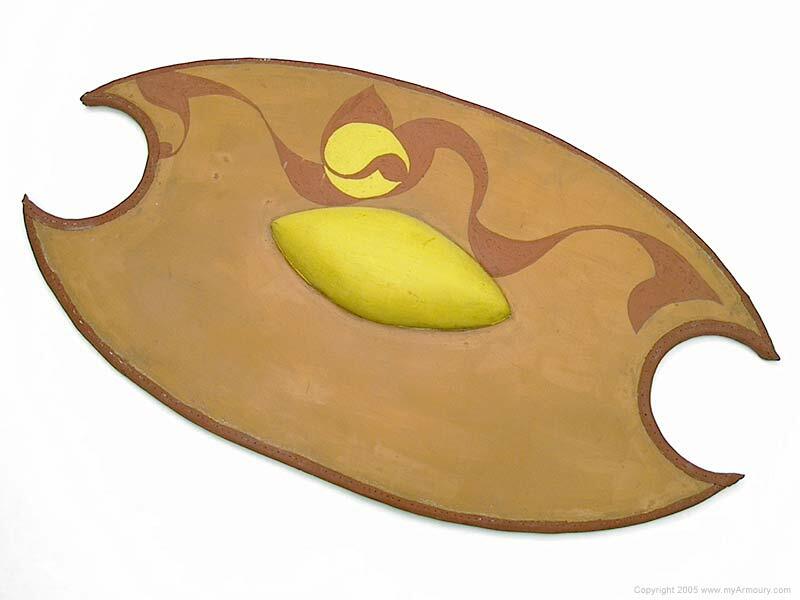 The shield is covered front and back with oak-tanned leather affixed with hide glue. Boss and grip are of hand-carved oak. 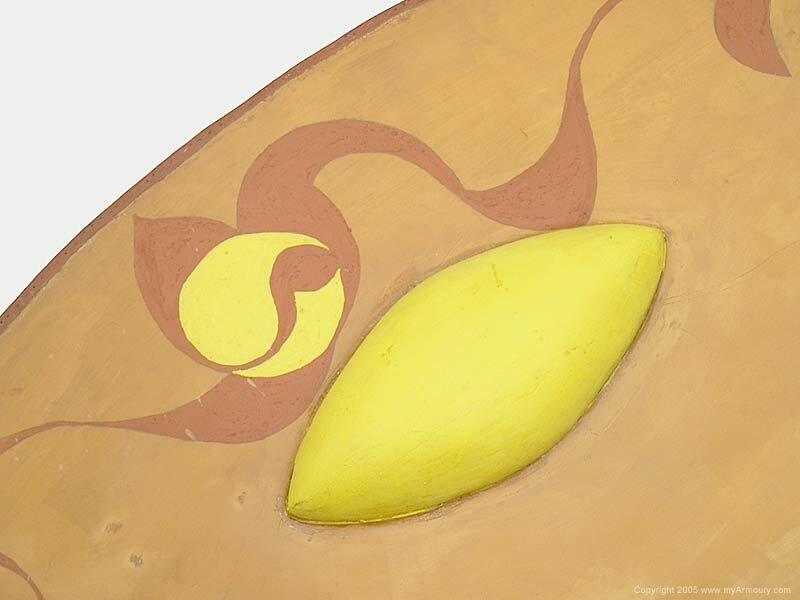 The shield is painted with period-appropriate casein pigments. Shape, size and design are taken from several of the Salisbury votive shields with reference to the Mill Hill find for sizing.